Grove GMK4100L-1 at MaskinExpo 2017 in Sweden. 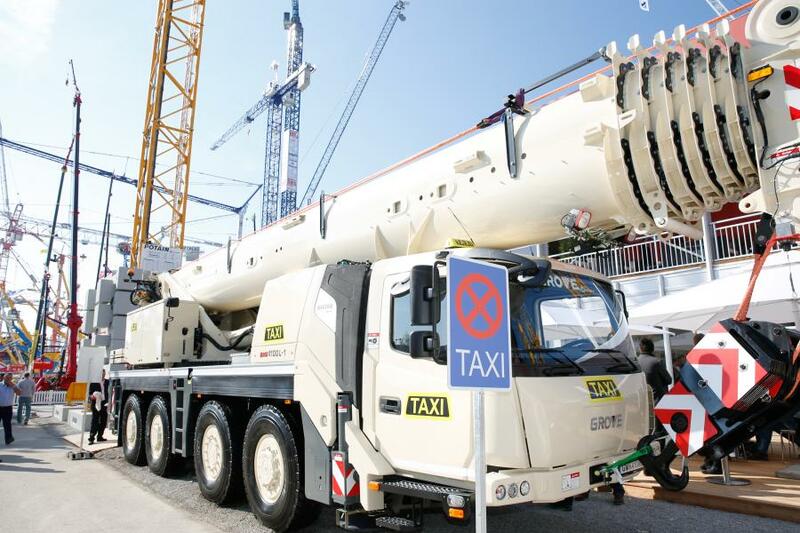 One of Manitowoc's most premier dealers in the Nordic region showcased one of the most cutting-edge Grove mobile cranes at this year's MaskinExpo 2017. The equipment trade show occurred May 18–20 in Stockholm, Sweden. UN Mobilkraner featured the new GMK4100L-1 all-terrain crane at the trade show. The crane was equipped with the K-100 synthetic rope for the event to highlight its innovative design and numerous benefits for users. The Kungälv, Sweden-based company chose to highlight reliable products that can help lifting companies improve operations and boost profitability. The 100 t capacity, four-axle Grove GMK4100L-1 all-terrain crane features a 60 m boom, the best load charts in its class and a narrow, 2.55 m-minimum width. Its compact design makes it easy to access and maneuver on the narrowest of job sites. Boosting the crane's overall reach is an 18 m telescopic swing-away jib that can be extended with an 8 m boom extension for a total jib length of 26 m. The telescopic swing-away jib offers an improved offset of 0° - 45°. The K-100 synthetic rope can increase return on investment with its lower maintenance requirements (such as a lack of greasing or lubing), environmental benefits (such as a lack of oil usage) and its ease of handling in reeving. The K-100 also makes it easier for the operator to reeve the rope on the jib and hook blocks.